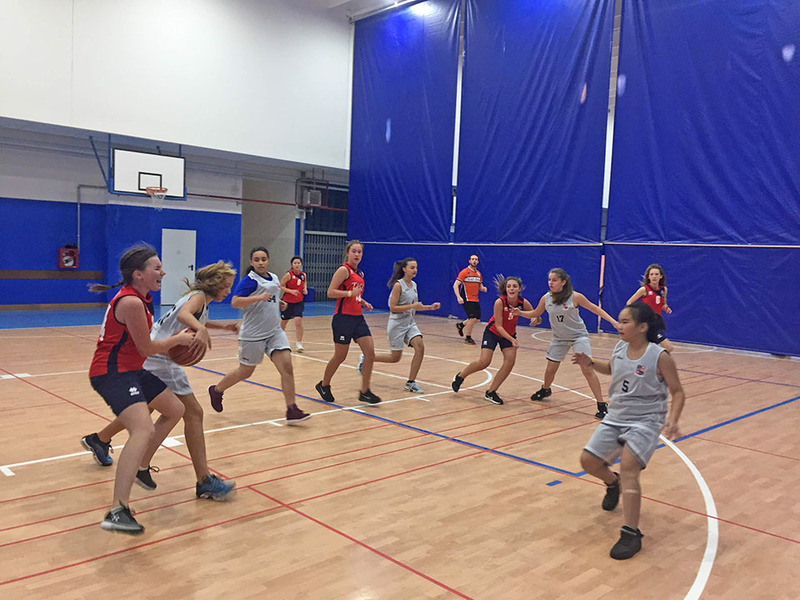 The Middle School Girls Basketball team traveled to American School of Milan (ASM) for its first game of the season. 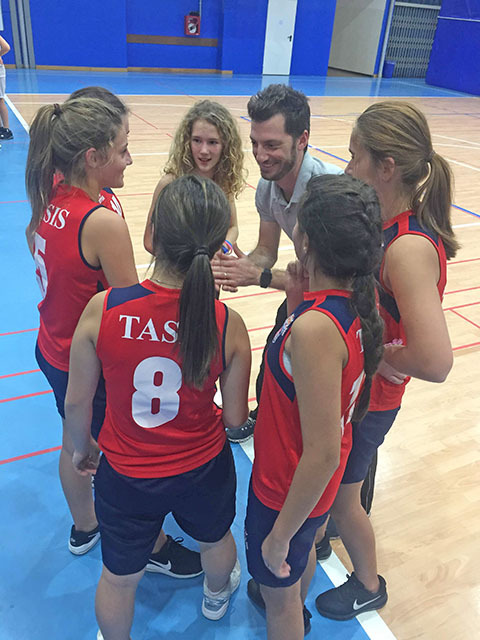 As a small team of six up against ASM's deep roster of 14, the TASIS girls were feeling a bit uneasy. But they quickly found their groove and came out of the opening tip with confidence and intensity. They scored the first four baskets, finding their stride. ASM responded with strong rebounds and moved the ball quicker, making the next three shots. That didn't stop the TASIS girls, who maintained focus, won the loose balls, converted their layups, and moved the ball efficiently. Sayaka Shiraishi '23 had an incredible game and excellent field goal percentage, charging to the basket at every opportunity and playing aggressive defense. She displayed a solid understanding of the game—setting picks, positioning tactfully, and supporting her teammates. Starting the second half, the girls had a confident lead but were showing the first signs of fatigue. ASM still had fresh subs. 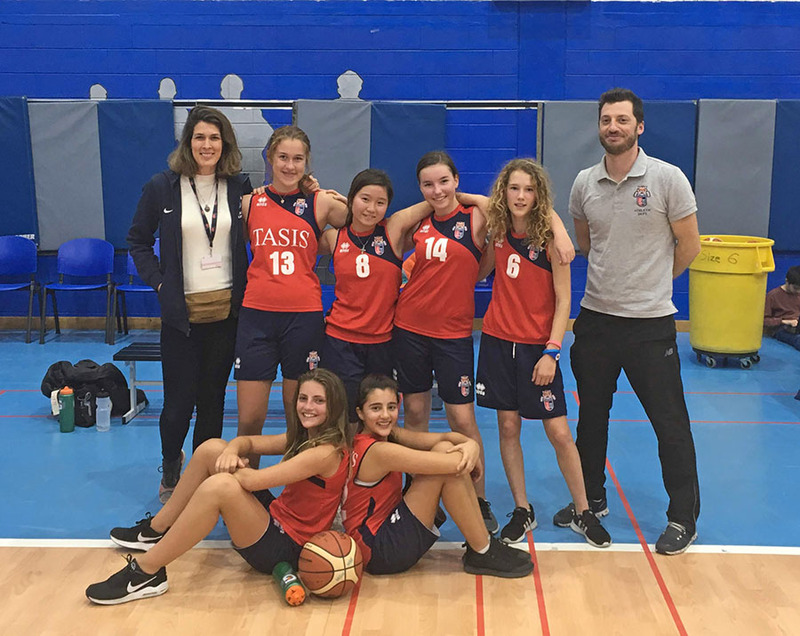 Nevertheless the TASIS girls were eager to play. Arya Kelley '24 made a few huge shots from the top of the key, and Lea Le Mat '23 was one of the top scorers. She played controlled offense and along with Marina Krasovskaya '23 played confidently under the net, successfully boxing out the opponents and winning rebounds. Nika Grigorian '23 controlled the pace of the game, stealing unguarded balls and willing to take risks that paid off. Jennifer (Jenny) Buckley '25 competed with endless stamina and also had one of the highest field goal percentages. Overall the girls dominated possession, played as a team, and confidently took home the win 42-16.